On the Print queue properties page select the Computers tab. 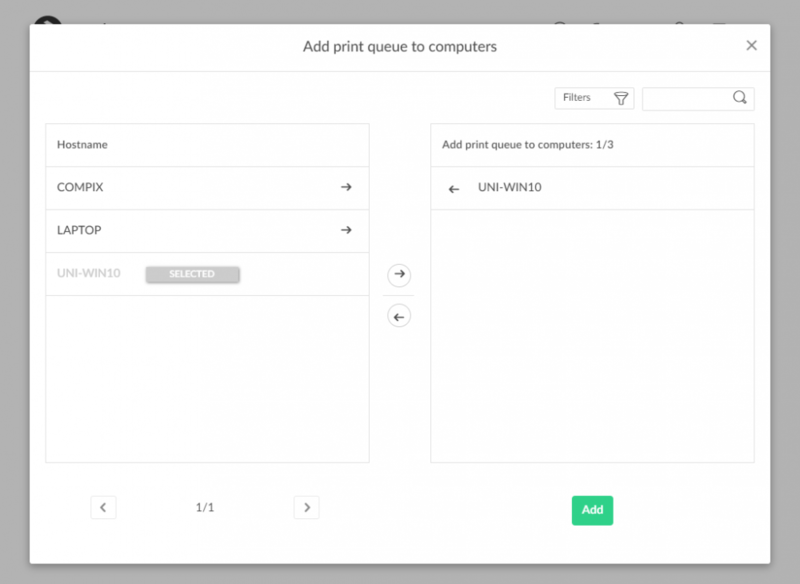 Select Add print queue to computers. Select the computers to have the print queue added to these computers. *Print queues are added once the computer is on a known network. Enter part of the computer’s hostname. Select Type to filter by this. Select System to filter by Windows and macOS editions. Select OS to filter by Windows and macOS.